The Reggiane Re.2001 Falco II is a single engine, low wing monoplane which flew for the Italian Regia Aeronautica in World War Two. Although mainly used as a fighter, it performed multi-role functions. The development of the Reggiane Re.2001 began following an evaluation of a modified Re.2000 using a German Daimler Benz DB 601 engine instead of its stock Piaggio radial engine. The bulky Piaggio radial engine increased drag and Regia Aeronautica hoped for an alternative choice. Test results with the DB 601 revealed a dramatic increase in performance and maneuverability of the modified Re.2000. On 20 July 1939, the Regia Aeronautica submitted a production order for 550 of the newly named Re.2001 Falco II (Falcon). 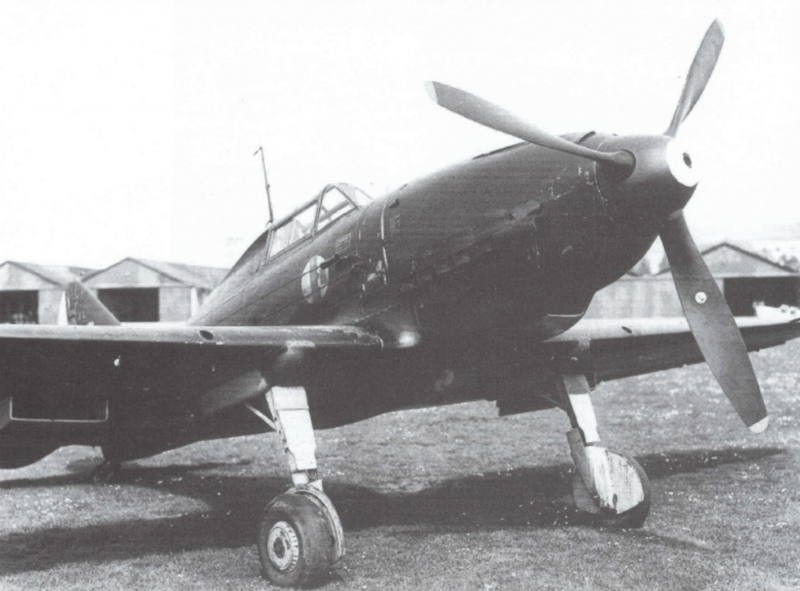 Test pilot Mario de Bernardi flew the first prototype of the Re.2001 on or about 23 July 1940. The aircraft retained the wing system and tail of the Re.2000. However, engineers redesigned the fuselage to accommodate the 1,175 hp Alfa Romeo R.A.1000 RC.41-1a licensed built DB-601 engines. The Reggiane Re.2001 and Macchi Mc.202 shared the same engine, and as expected, performed on par with one another. However, the R.2001 suffered production delays because MC.202 had priority. A further delay developed because the Regia Aeronautica insisted that the fuel tanks be located in the wing. Ultimately, delivery of the first planes occurred in June 1941. Production proceeded slowly with 40 built in 1941, just over 100 in 1942 and the rest in 1943. 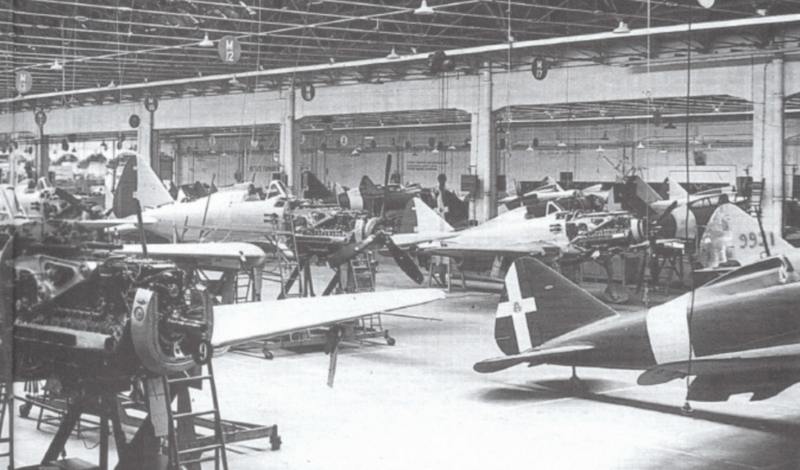 Re.2001’s in production at the Regio Emilia factory. The Re.2001 achieved a top speed of 335 mph, a range of 685 miles and a service ceiling of 36,000 ft. Armament consisted of two 12.7 mm Breda-SAFAT machine guns in the cowling and two 7.7 mm Breda-SAFAT machine guns in the wings. 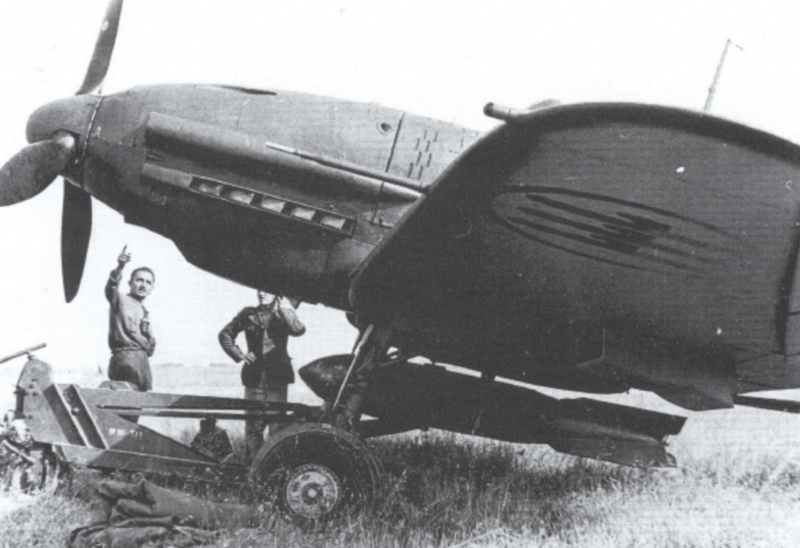 Reggiane Re.2001 CN with 20 mm cannons. To my amazement, the Italian proved to be an extremely competent opponent. I had never before been involved in such a complex sequence of aerobatics as I pursued him. Twice I nearly ‘spun off’ as I stayed with him; I found it difficult to get any sort of worthwhile deflection shot at his aircraft. At times he got dangerously close to getting a bead on me. Eventually, he started to smoke and we hit his tail, but we were halfway across the Strait of Sicily and our position was getting dangerous as we were now low on fuel and would be in real difficulty if we were attacked. But, as we turned back to base, the Italian, to my amazement, turned with us and made one final and defiant attack upon our section – as if to show what he thought of a pair of Spitfires! On 12 August 1942 during Operation Pedestal, two Re.2001 GV, at 20 meters above sea level, dropped two 630 kg anti-ship bombs on the HMS Victorious. Both bombs hit the aircraft carrier, one on the bow and one on the stern. However, neither bomb exploded. Following this result, Regia Aeronautics canceled all future developments of the GV series. Re.2001 GV with a 630 kg anti-ship bomb. When the armistice was signed, nine of the remaining 33 Re.2001’s were airworthy. 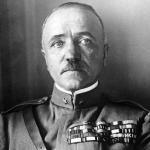 Eight aircraft remained with the Co-Belligerent Air Force while one joined the Italian Socialist Republic. On 5 November 1943, a number of Re.2001s and Mc.202s with the Italian Co-Belligerent Air Force attacked German aircraft at an airfield in Berat, Albania. Re. 2001 CN: Night fighter version. Installed bomb rack capable of carrying one 100, 160 or 250 kg bomb. Two 20 mm cannons in underwing gondolas replacing the 7.7 mm wing guns. Re.2001 OR (Organizzazione Roma): Carrier based version. Capable of launching via catapult. Re.2001 GV: Carries a 630 kg anti-ship bomb. Re.2001Bis: Utilizes a new wing design in which the underwing radiators are inside the wings. This increased the speed to 600km/h. Production never continued after building one example. Re. 2001 Delta: Utilizes an indigenous 12 cylinder inverted Vee air-cooled Isotta Fraschini Delta RC 16-48 engine. The aircraft failed to perform to expectations, achieving only 495 km/h at 4,400 meters. An order of 100 was canceled. Re.2001 H: Proposed anti-tank version. Never built. Regia Aeronautica received a total of 253 Falco II’s built. 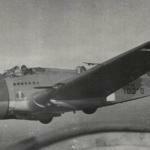 Five aircraft survived the war and were in service for a number of years following the end of hostilities. Ali d’Italia, Reggiane Re.2001, Giorgio Apostolo, La Bancarella Aeronautica, 1996. Malta: The Thorn in Rommel’s side, by Laddie Lucas 1993, pp. 251–252.